You’re still making a difference, sweet sister. October 15 is Vanessa’s birthday. She would be 34 today. 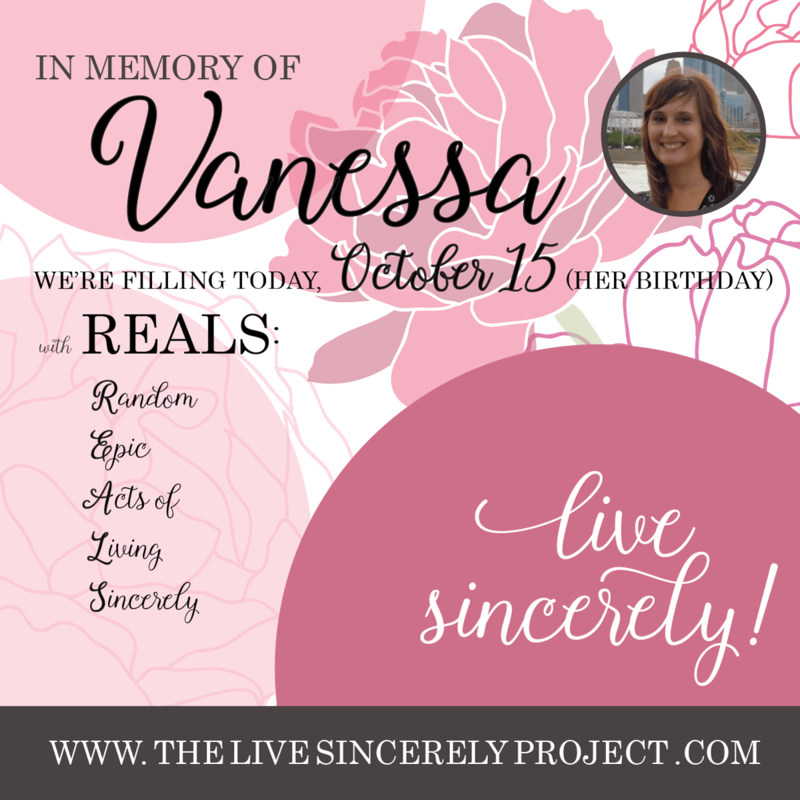 Last year, on the first “birthday” that Vanessa didn’t get, Christina and I tried to channel what Vanessa would appreciate us doing as we thought about what we wanted to do to mark the day. We realized that our sweet middle sister, ever-impatient with too many words and utterly annoyed at too much moping, would likely have been most touched by bold actions taken, especially those that made life better for someone. Happy birthday, Vanessa. We miss you every single day. But we are so proud of you that you’re still making a difference in this messy, hard, connecting, lovely world! Bought the coffees behind me at BP Station yesterday morning.